Today was Mothers Day. 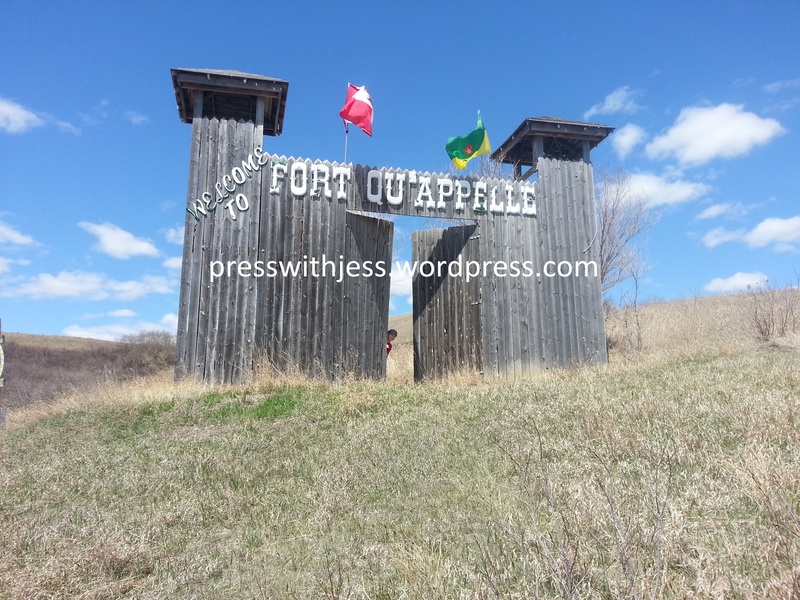 We went on a trip to Fort Qu’Appelle. It was an interesting time. 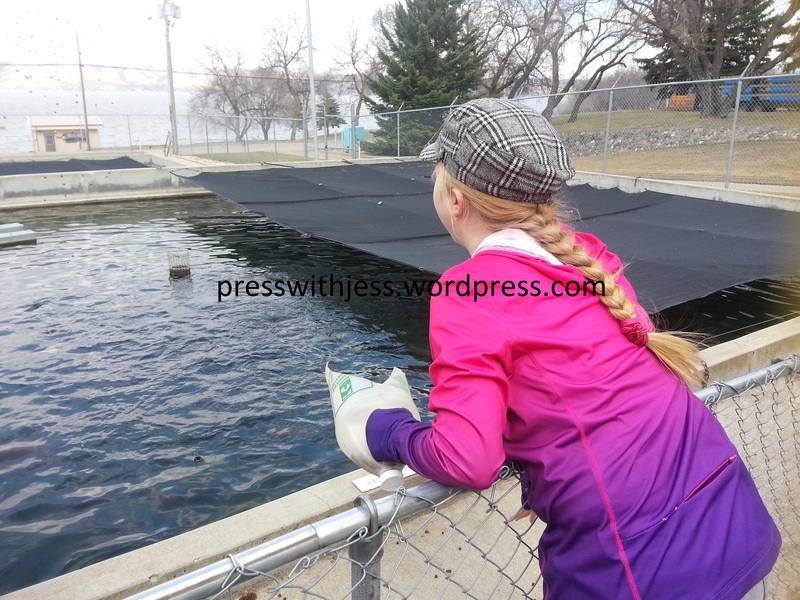 From ice cream to the Fish Hatchery, Fort Qu’Appelle sure is the place to go. From where I live to Fort Qu’Appelle is just over an hour. Luckily for me, it only felt like 10 minutes. That is because I had the glorious thing of technology with me. Ipads and phones make time go by quick in the car. When we first got in we went to eat at a place called Valley Bake And Coffee Shop. I got pancakes, Delicious Bacon (everybody should love bacon!!!) and home fries a.k.a fried potato bits. I don’t usually eat them, but they were pretty good though – I will admit that. 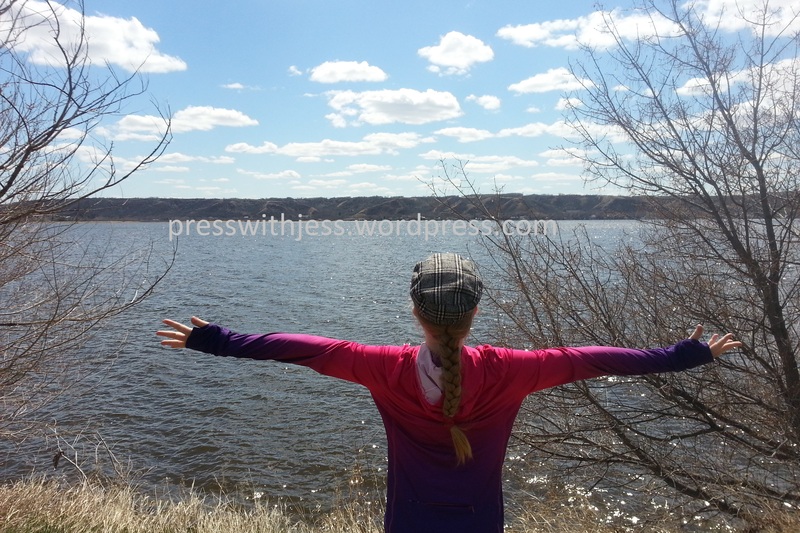 Then, we set out on the Fort Qu’Appelle roads. As you can tell by the picture displayed above, we went to ‘The Fort’ thinking it was some really cool attraction. In my case, I thought it was a theme park. Oh, how I miss theme parks from back home. 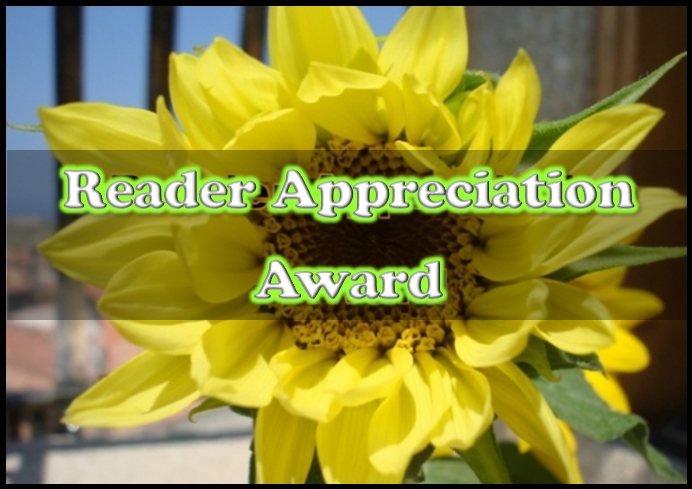 Parks like Marine Land and Canada’s Wonderland. Have you been there? It’s so AWESOME. When we got to the fort however, our hopes were pretty much shattered. Mostly mine, because it wasn’t at all what I was oh so hoping for. 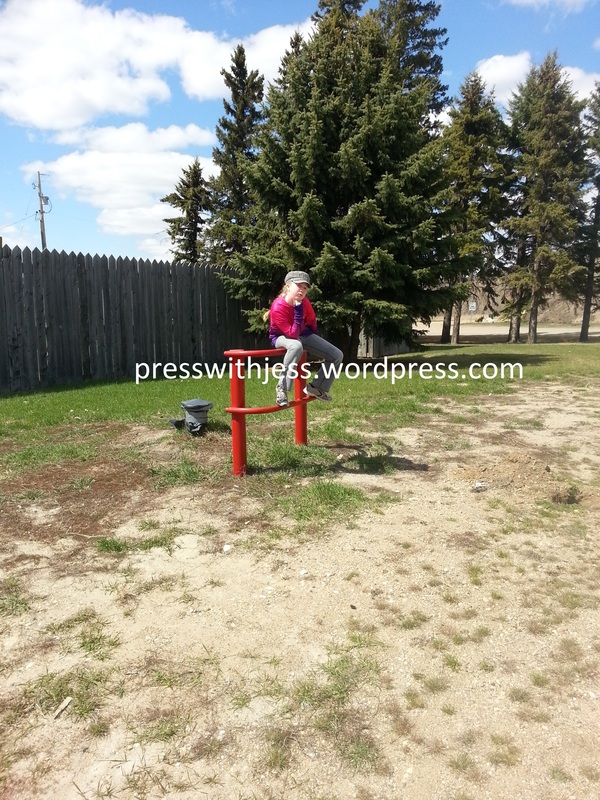 It was only a campground. We did see bunnies (or hares, I don’t know) We left in search of something else. It was a good 5-6 minutes before we found this beach, of course it was cold and we never brought gear so we just admired it. We drove on a bit more until we found the Fish Hatchery. If you’re thinking that’s gross, it’s actually pretty interesting as well as gross. Fish are cool aquatic creatures. 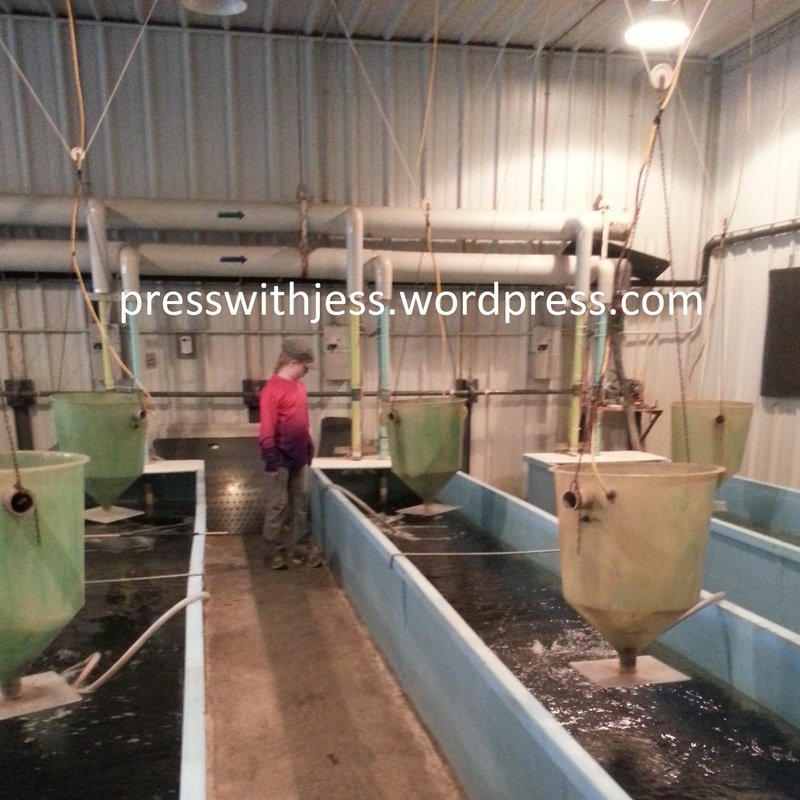 We learned it was 100 years that the Fort Qu’Appelle Fish Culture Station has been running. Our tour guides name was Ben. He’s 12 years old like me. 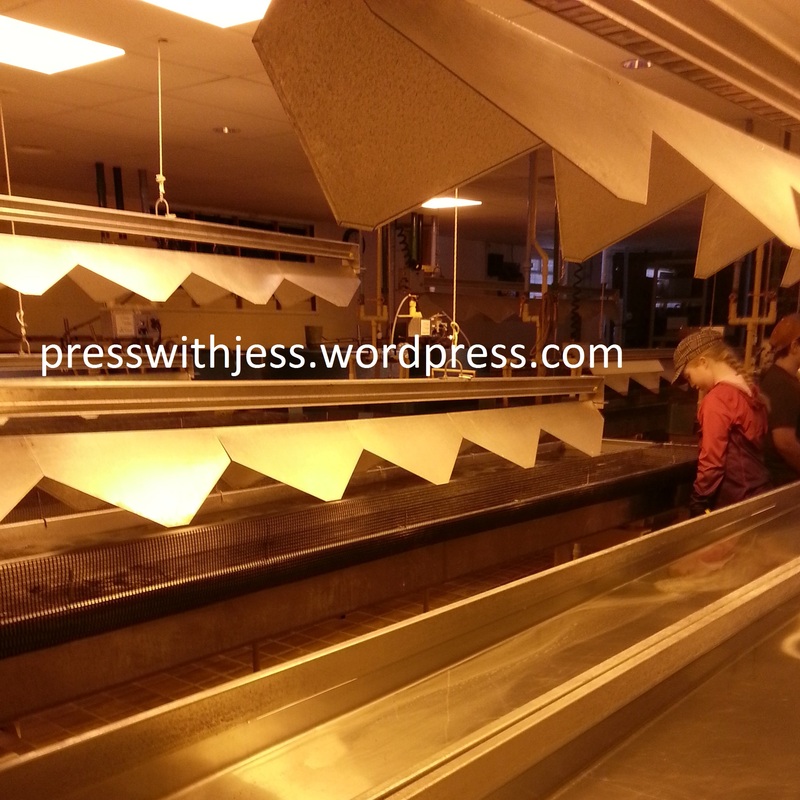 He knows a lot about fish and how the whole process works, and that’s pretty cool. It’s cool to see how kids like Ben know a lot about a topic and can talk about it. It was cool that he was given the responsibility of doing the tour. He was really good. His dad works there and he helps. There are hybrid fish, I just found that out today. Fish are caught in spawn camps, they can get in, but not out. In the front room there were 2 tanks. Fish, I learned can be really aggressive when it comes to food. They will practically bully smaller fish and it will get so bad sometimes they have to be put down. 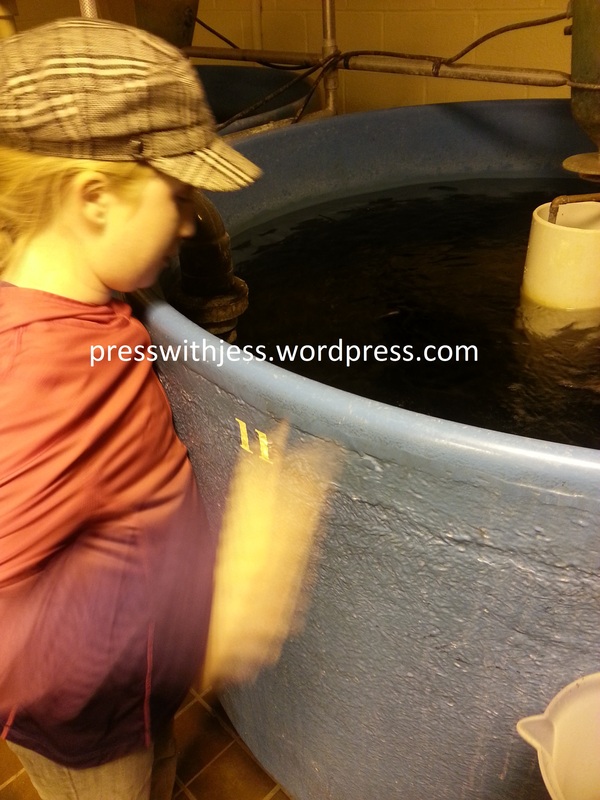 We were then allowed to go in the hatchery, and wow it was amazing. If you look in there were so many fish it looked like dirt in the water that moved. That’s a lot if you ask me. I did say a lot, didn’t I? This tank had WAYYYY more then the other one. If you put food, the tiny fish would scramble to eat it. 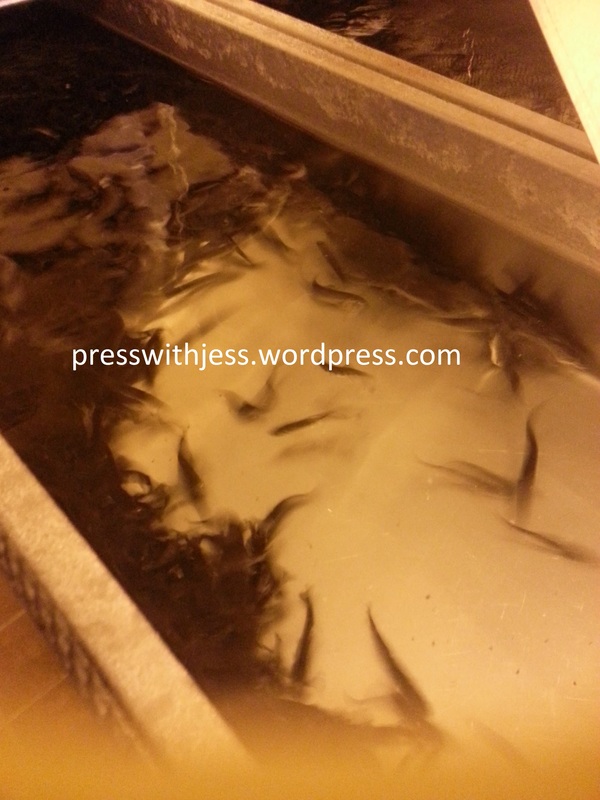 We went outside to the ponds where the bigger fish reside. And boy, were these fish huge. 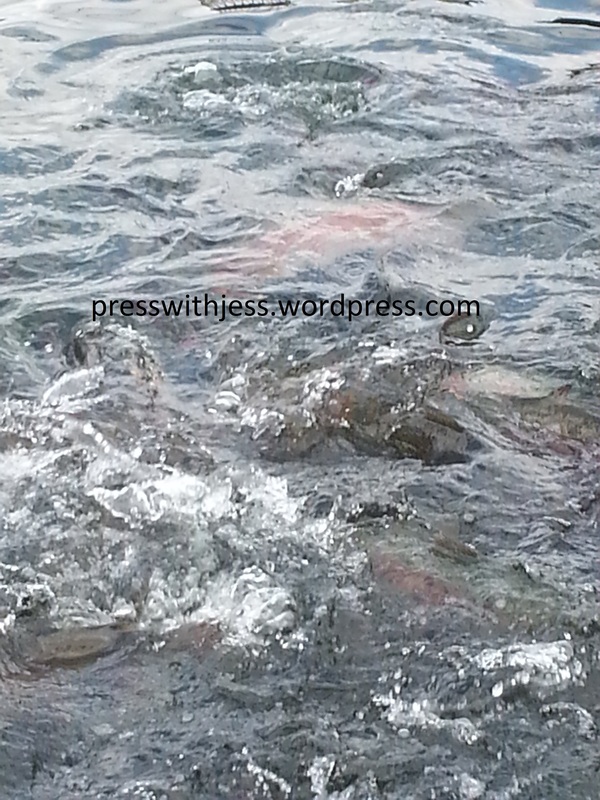 The Rainbow Trout’s in there weighed up to a max of 25 pounds. I learned if the fish has an underbite with a knob at the tip, it’s a male, if not, female. Put food in, and see them go wild. There were so many fish in these tanks as well. The bigger fish would eat the other fish’s tail or insides. I got to hold a tailless fish. He then went down the drain. Yuck, just gross. It was pretty sick. It was a real cool place to visit though. Ice cream ended the day. My mom was happy we spent time together on Mother’s Day. Mission completed.